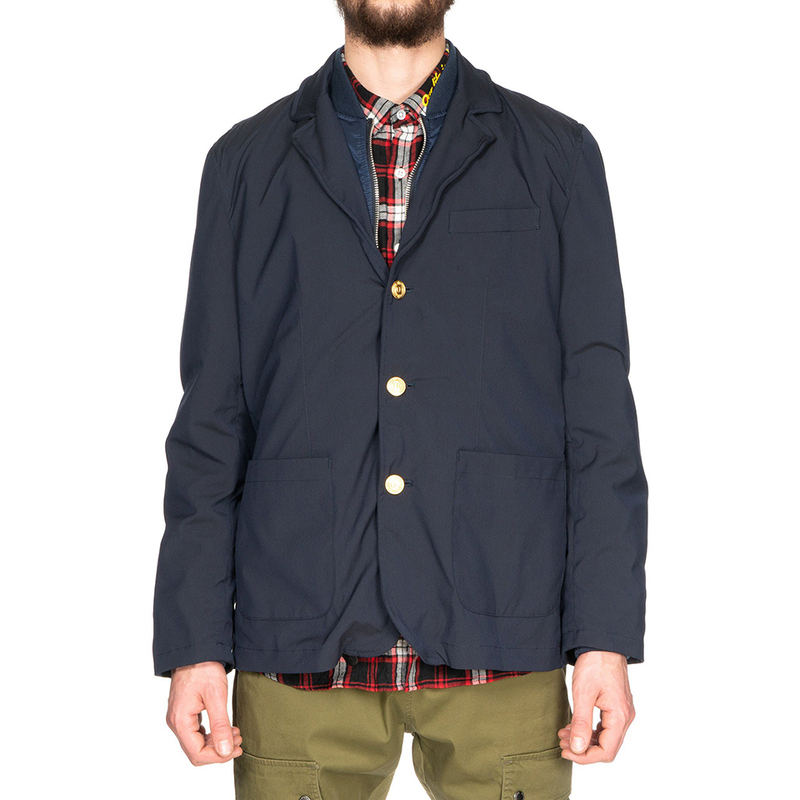 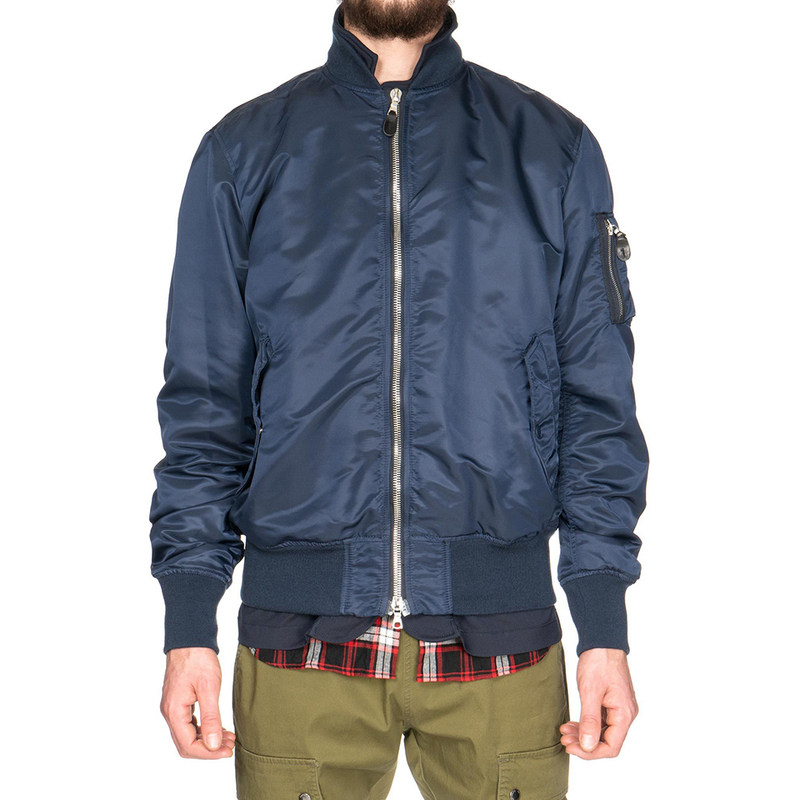 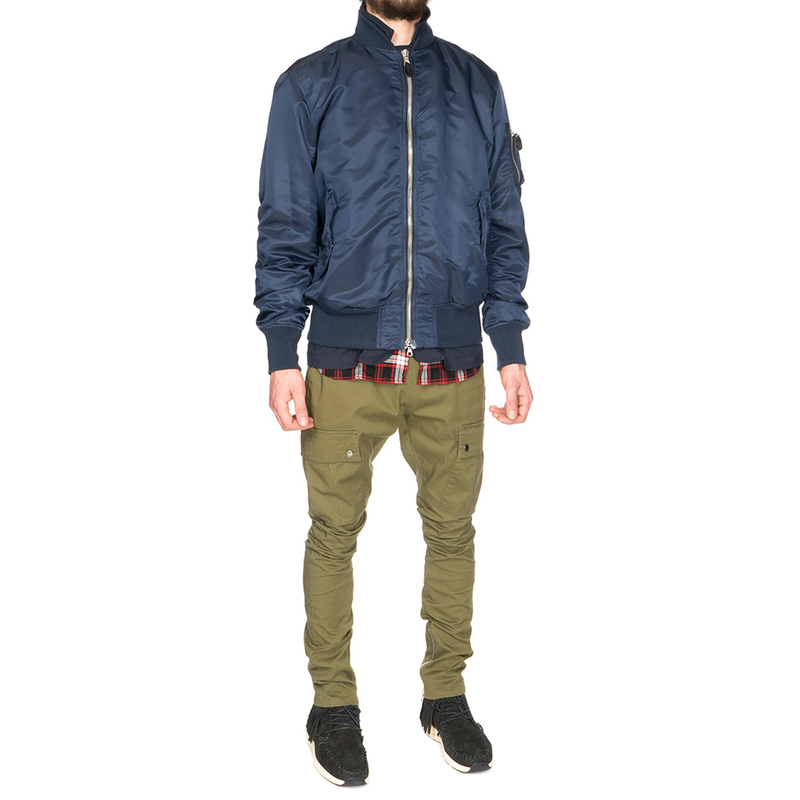 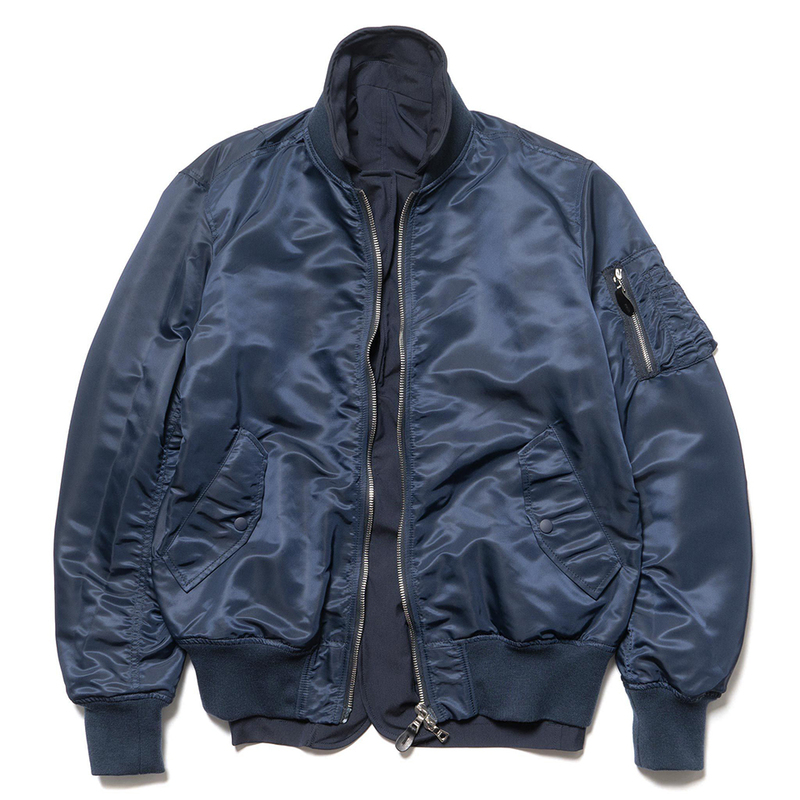 Effortlessly go from casual to dressy with Uniform Experiment’s Reversible MA-1 Blouson. 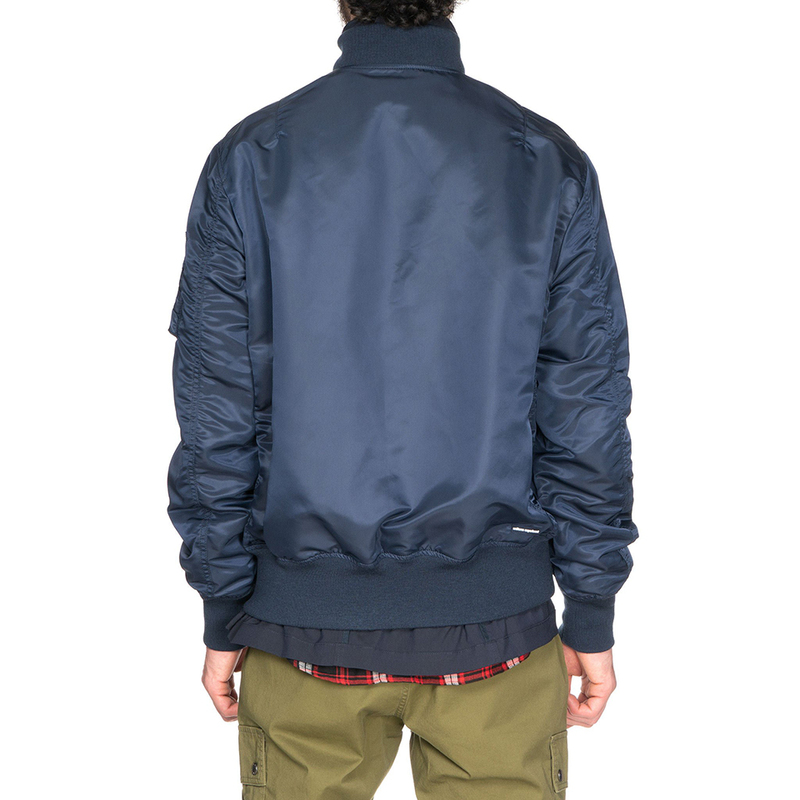 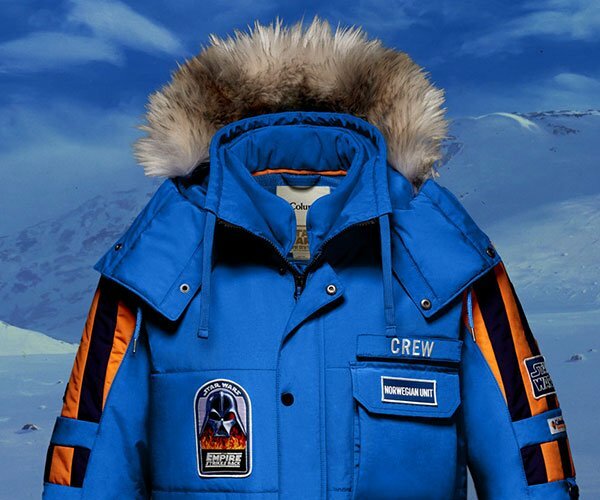 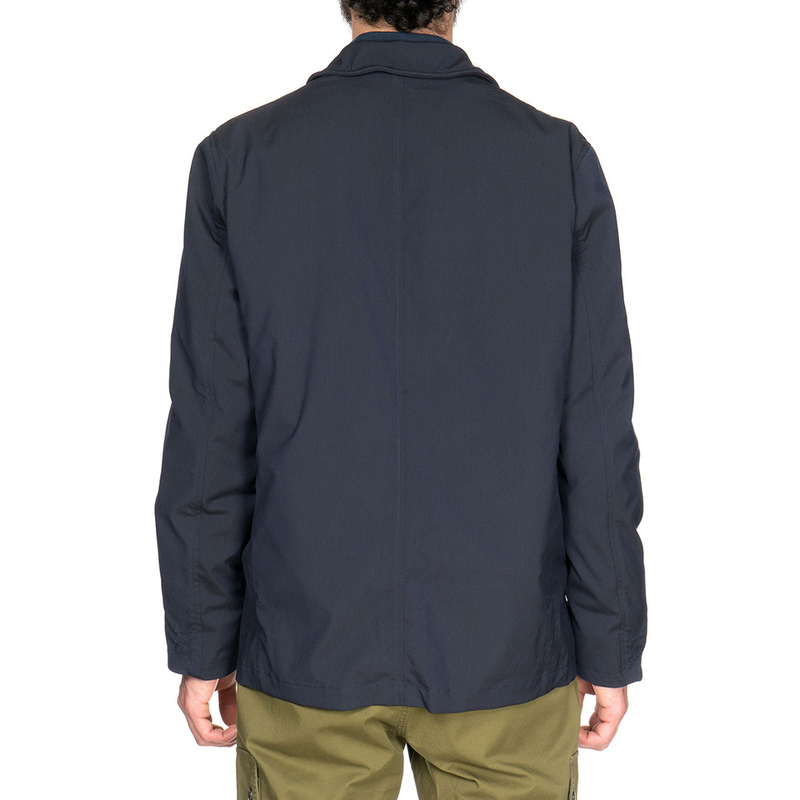 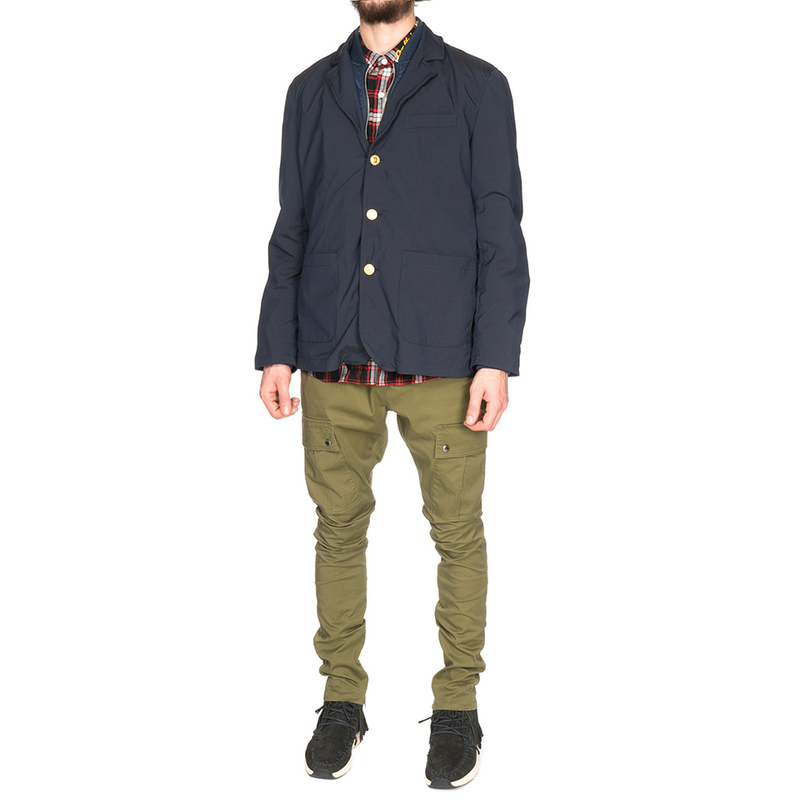 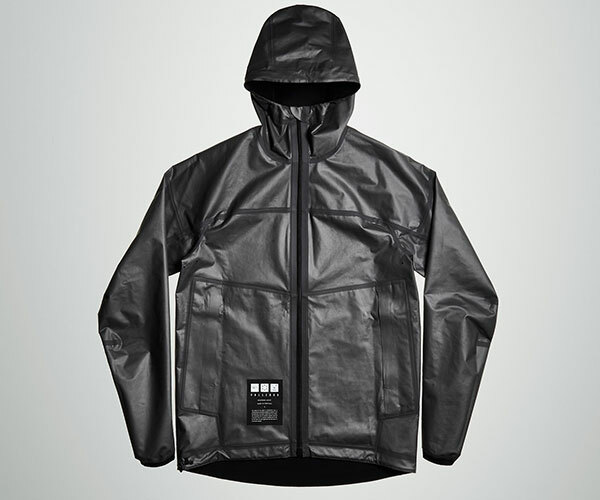 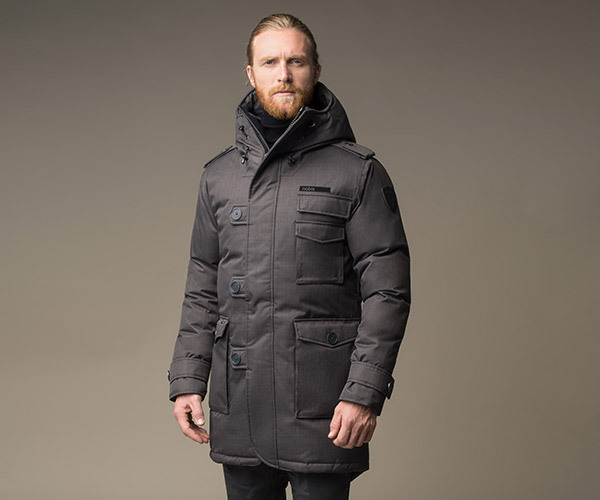 The MA-1 side is made of nylon and has snap side pockets, sleeve pocket and ribbed cuffs. 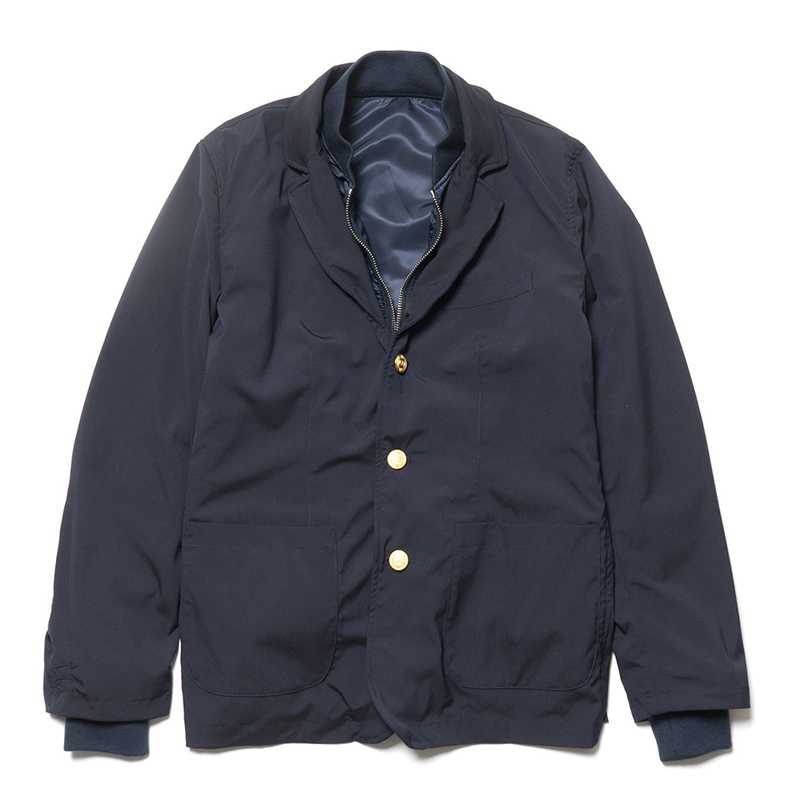 The suit side is made of polyester and has three buttons, patch pockets and a chest pocket.